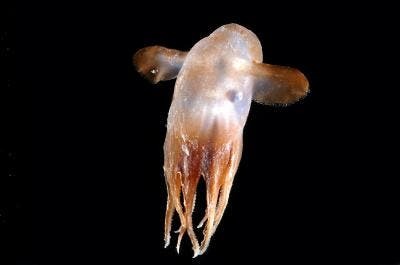 The researchers from the Census of Marine Wildlife have accomplished a truly amazing task; they have inventoried a fantastic abundance of marine species, more specifically deep sea species that live below the point where sunlight can penetrate the water, creatures that live more than 5 km below sea level, in a cold and dark environment. In order to do this, they used the best science has to offer (deep-towed cameras, sonars and other such technologies), and they found a really surprising variety of species that thrive there, adapting to the extreme environment. A significant part of them has adapted to a meager diet based on droppings from the sun penetrated layers above, some eat bacteria, while others feast on sunken whale bones and other such things you wouldn’t believe are eatable. Just in case you’re wondering how many species they counted, here’s the figure: 17650 (that live below 200m, where light virtually stops existing). “Abundance is mostly a function of available food and decreases rapidly with depth,” says Robert S. Carney of Louisiana State University, co-leader (with Myriam Sibuet of France) of the Census project COMARGE, studying life along the world’s continental margins. The continental margins are where we find the transition from abundant food made by photosynthesis to darkened poverty. The transitions display the intriguing adaptations and survival strategies of amazing species,” says Dr. Carney. * An alternative to photosynthesis of food, such as chemosynthetic production. 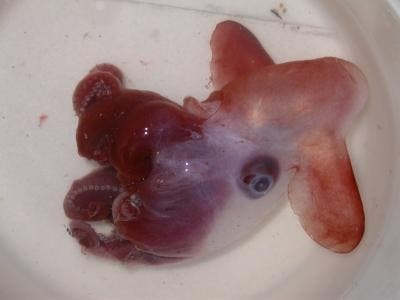 I’ll come back with some more details and a post on the most amazing species that live deep in the oceans, so if you have any questions or tips about that, don’t hesitate to contact.